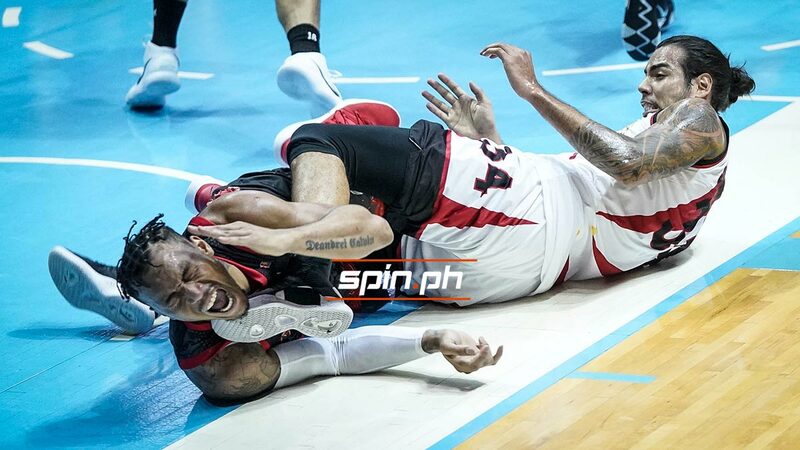 CHRISTIAN Standhardinger was ejected from Game Two of the PBA Philippine Cup semifinal series against Phoenix Pulse, leaving the Beermen without one half of their twin towers frontline at the Smart-Araneta Coliseum. 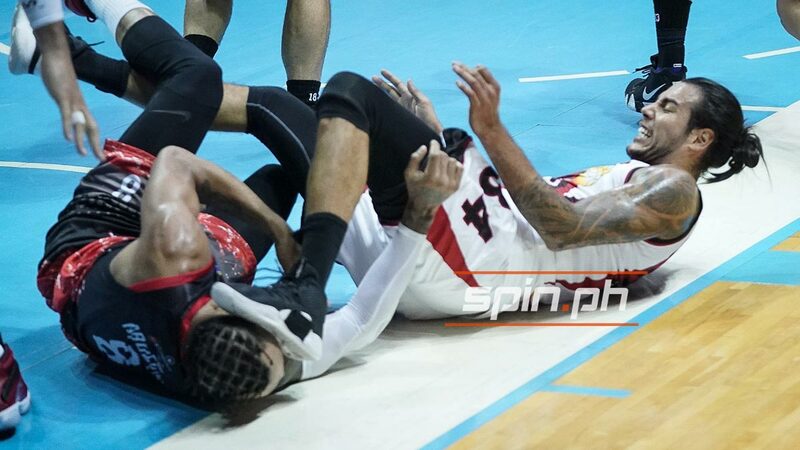 Standhardinger was thrown after a rebound scramble with Calvin Abueva at the 6:10 mark of the second quarter left the bruising Phoenix forward grimacing in pain, supposedly from hits to the face and groin area. The Fil-German center can be clearly heard claiming 'it's a flop' after the commotion but the referees decided otherwise, slapping him with a flagrant foul penalty 2 that meant his automatic ejection. The disqualification also meant an automatic fine - or a suspension if the Commissioner's Office warrants. The controversial call left the Beermen's frontline a lot smaller for the rest of Game Two, where the team was gunning for a 2-0 lead in the best-of-seven semifinal series. 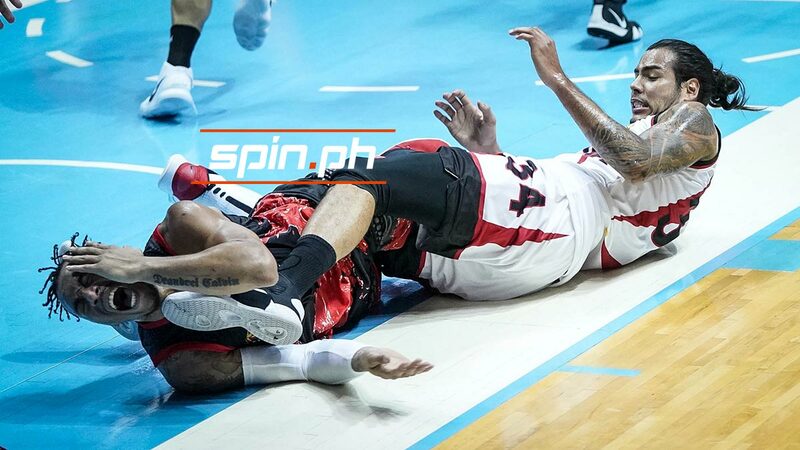 Prior to the alleged kick, Abueva was also hit in the head by Standhardinger’s left foot after the two lost their footing after a battle for the ball and fell to the floor.